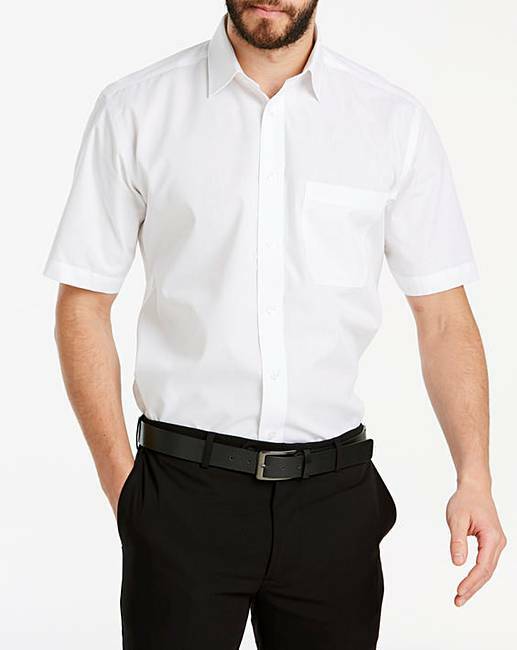 Double Two White Short Sleeve Shirt is rated 4.7 out of 5 by 9. 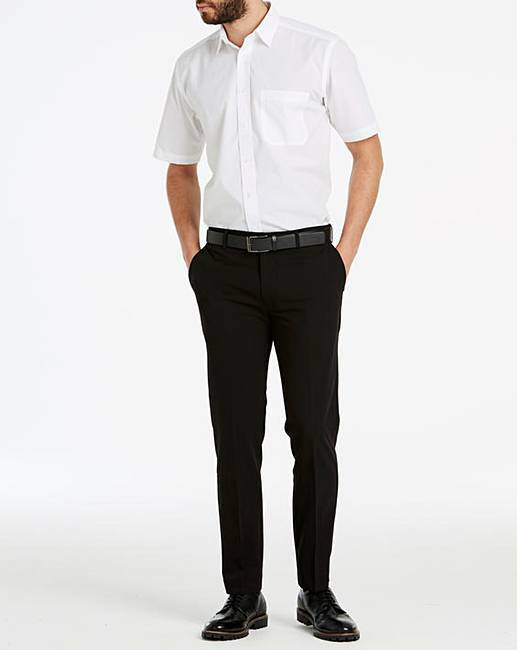 Non-iron, short-sleeved shirt in crisp white from Double Two. Team with suit pants for a great smart look. Rated 4 out of 5 by peebee59 from Not Bad At All Nice shirt, plenty of size - it is big all over, believe me... A perfect "Non Iron" shirt, if you don't mind turning up at work looking like you've slept in the car. Unfortunately, this is no more "Non Iron" than any other shirt I have - it creases when washed, all shirts do!! 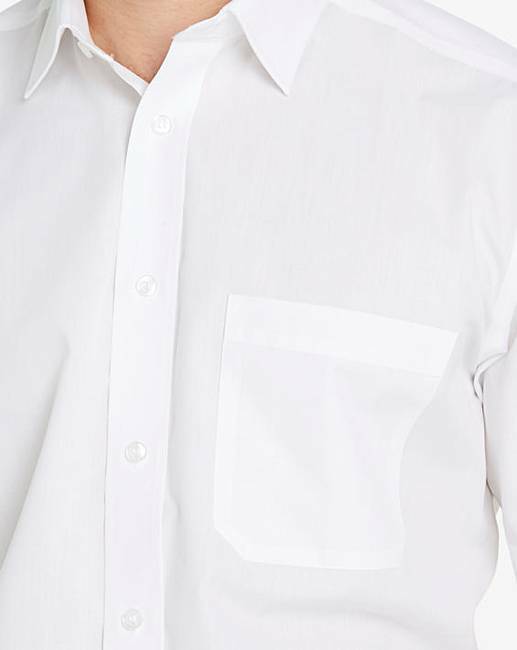 However, apart from that piece of misinformation, this is a good shirt for the money, and despite the fact you do have to iron it, it was easy to iron. Overall, a perfectly good, well proportioned shirt worth every penny. Rated 4 out of 5 by Andy from Nice looking shirt I bought this shirt a couple of weeks ago and it looks smart unfortunately my neck size is larger than my body, so the body of the shirt is far to big . 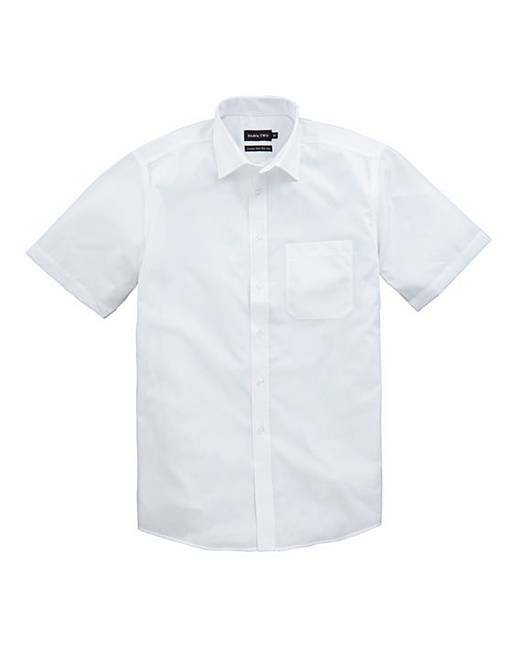 Rated 5 out of 5 by trigger62 from White shirt This is a great quality product which I would definitely purchase again. Fast delivery and no problems whatsoever. Rated 5 out of 5 by AHappyWife from Good quality I bought this for my husband for work. He looks great and the shirts wash well. Very low maintenance shirt. Rated 5 out of 5 by Rick JS from Quality shirt Good quality and so comfortable to wear. Very good value for money.